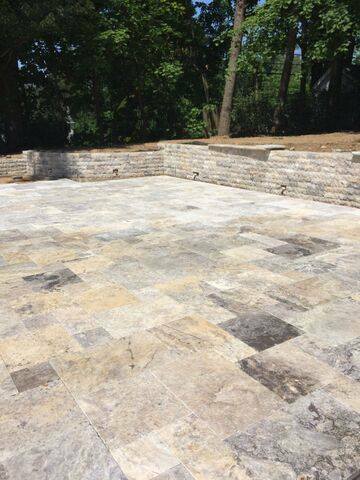 Two weeks ago we showed you the beautiful Travertine Retaining Wall being built. 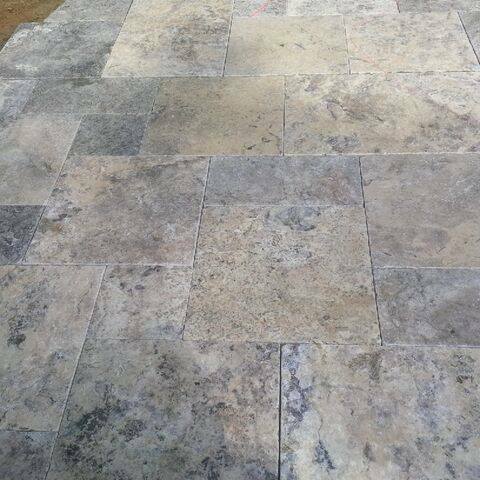 Today we’d like to share the progress we’ve made installing the gorgeous Travertine Pool Patio. 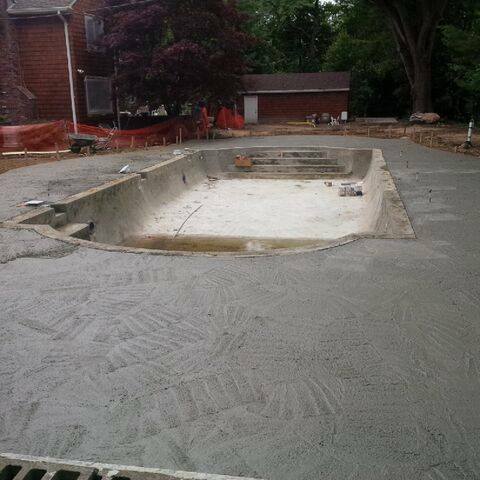 #1: The pool deck is perfectly prepped and ready to receive the stone. #2: A close-up to show the varied and unique properties of this exceptional material. #3: See how the wall and patio compliment each other so naturally.